Let's face it, I love ramen but I will choose good non-ramen food over mediocre ramen any day. This presents a problem when I travel abroad. People expect me to crush every noteworthy bowl in town. 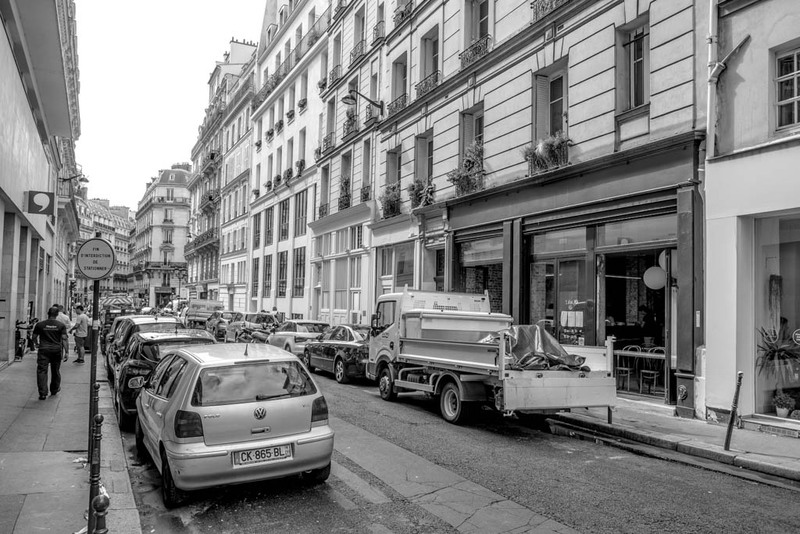 And the town of Paris, France has a lot of noteworthy shops. Not necessarily good, just famous. The food scene in the 2nd district is especially strong. Chinese, Japanese, Thai . . . the area is littered with questionable Asian cuisine. Historically, most shops served a mismatched menu of whatever was trending at the time. It was (is) common to find a restaurant serving Chinese stir fry, Japanese salmon sushi rolls, and Thai pad thai at budget prices. I wanted to check out Sanjo for a few reasons. First of all, the origin story is kind of interesting. A Japanese fashion designer, after spending time at Paris Fashion Week, wasn't happy with the ramen scene. He wanted a simple tonkotsu ramen. 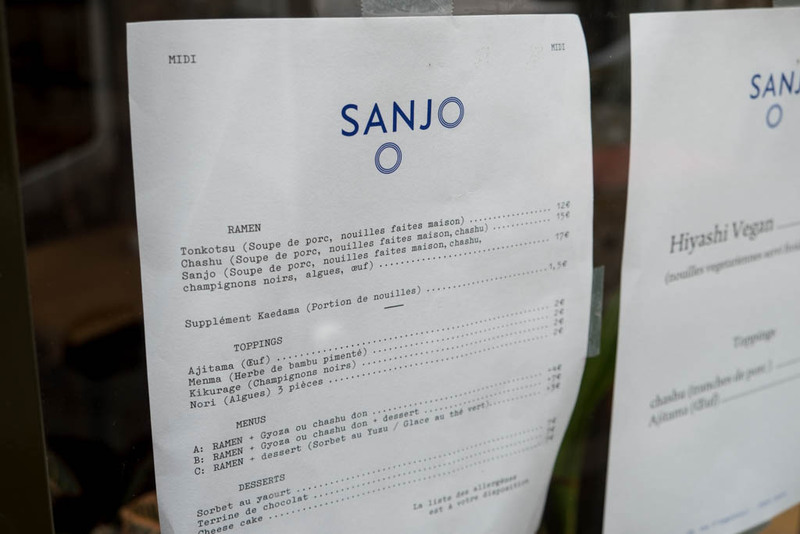 Soup de porc would be the staple at Sanjo. 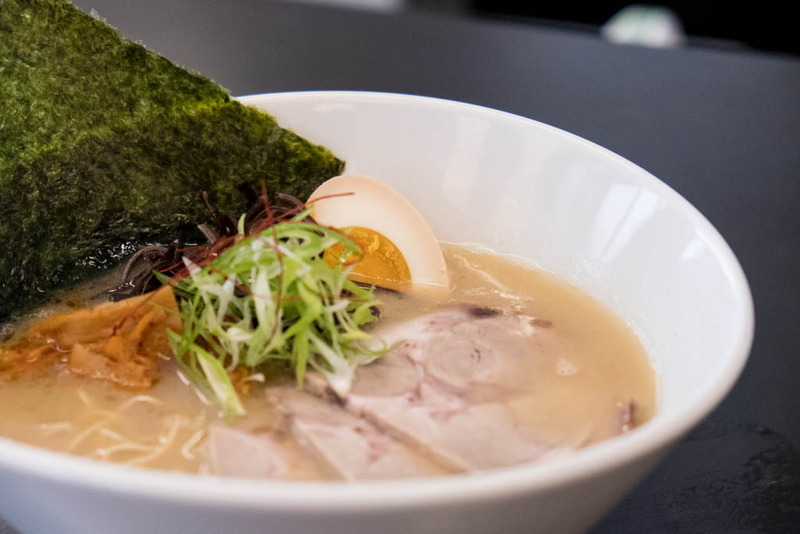 Sure, you can't run a ramen shop outside of Japan without sides like gyoza or rice bowls but the ramen would reign at Sanjo. 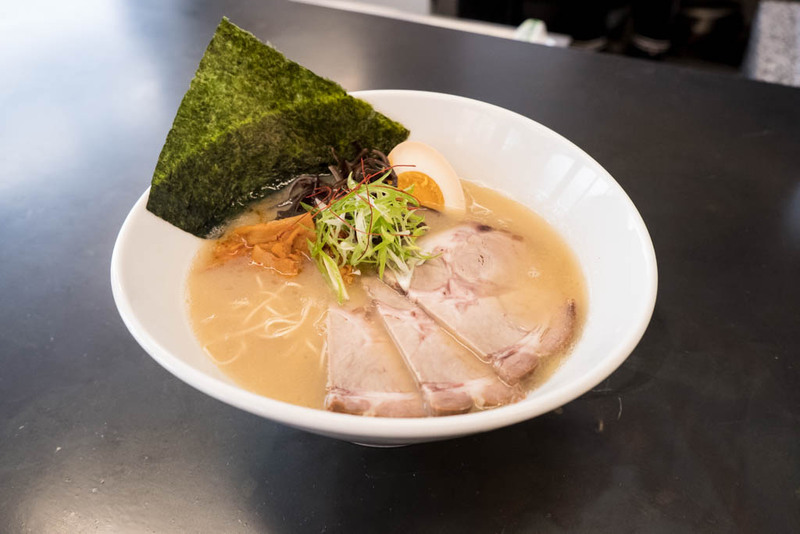 Second of all, the chef's Ryoun Komatsu and Masa Hayatsu have credentials in the ramen world, from both Paris and Kyoto. Third of all, this place is hot but relatively undiscovered. No line! Great bowl! No frills, though I think the menu expands to other Japanese items for dinner. Great atmosphere. The shop is light and airy. Great staff. They know what they are doing.